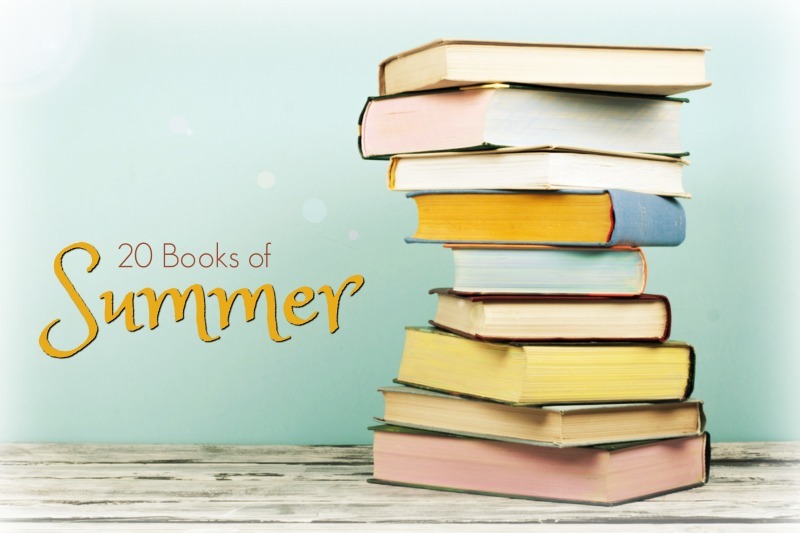 If you cast your mind back to early June, you may remember I vowed to participate in Cathy’s “20 Books of Summer” challenge. Summer is, of course, over in the northern hemisphere and there’s a definite autumnal feel in the air, so I should really report on how I got on. 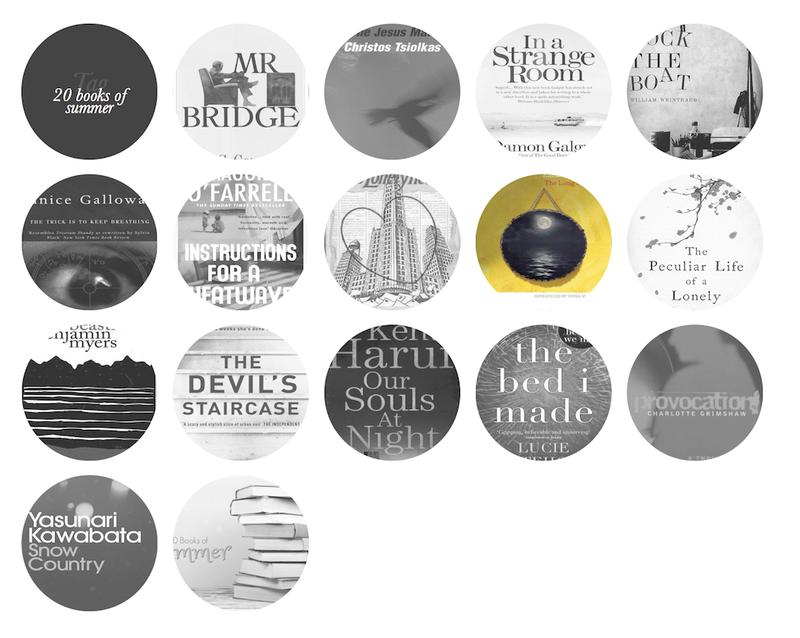 Life, unfortunately, got in the way (my job has become increasingly more hectic in recent months, with no let up in sight), so I only managed to make my way through 15 novels from my TBR. The original list I posted got ditched somewhere along the way: I only read six books from it; the remaining nine were selected to suit my particular mood at the time, but all were from my TBR. In fact, most were ebooks. That’s because I bought a new Kindle in July and had to reorganise my library in the Cloud to get them to download on to the new device and in doing so I rediscovered a ginormous amount of novels I’d forgotten I’d purchased over the years. There were some real standouts in this list — Our Souls At Night, In a Strange Room, Beastings, The Long Prospect and The Jesus Man — and a couple of duds (Provocation and Instructions for a Heatwave), but overall I really enjoyed making my way through old novels in my TBR. Now, however, it’s time to bring on the new books! I figured if I counted the week before the challenge started I would have completed the challenge because I went to Greece for a week by myself and read six books! Oh well, timing is never my strong point. I much prefer physical books, but I’ve found the backlit Kindle a godsend: it means I can read in bed without disturbing my Other Half. #DumbQuestion: What does it mean to reorganise your books in the cloud, and why do you have to go it when you #Shudder get a new Kindle? Don’t get me started on the Cloud. I hate it. If you have a new generation kindle and buy all your books from Amazon it will already be synced with the Cloud, where all your purchases are held for you (as a back up) to download as you please. But I had an old Kindle (the second edition) that wasn’t connected to the Cloud because the Cloud hadn’t been invented then. This meant that when I downloaded my books to the new Kindle it just dumped them into one folder, whereas I had them all sorted carefully into folders for Ozlit, crime, nonfiction, abandoned books, books to be reviewed, etc etc. I have hundreds of ebook so this was quite annoying. The only solution was to recreate all those folders in the ckoud (which took about three hours) and then sync with my new Kindle. That’s the trouble with all this new stuff, it jettisons old stuff as if it doesn’t matter. Shiny and new? I don’t want it! Fifteen books is still amazing. Well done. Cheers. There were a lot of short books in this lot though. I can’t believe you were so blase about being in Greece that you were able to read six books in a week. Ha. I go to Greece every year for a solo week of rest, reading & a Vitamin D top up! Cheers. I’m not usually one for challenges, either, but this was a nice one to participate in. I’d take that for a win, and there’s no pressure with this challenge which is why I like it so much! Well done for excavating old stuff from your Kindle. I am trying to keep up with my NetGalley books but have been downloading random stuff AND have books upon books in the collections I’ve created. Argh! Garry Disher isn’t generally published in the U.K. though sometimes you can get his books on import through The Book Depository. I’ve just checked the availability of Her and it’s listed as “currently unavailable”. I’ve never read Disher. Should I?